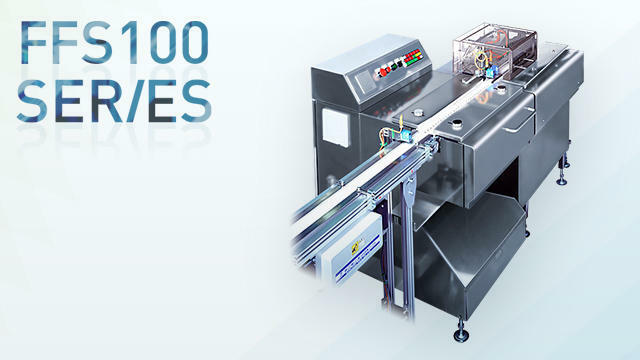 FFS100 Series supplied to the packaging machine to separate the items one by one | Inline Feeders | FUJI MACHINERY CO.,LTD. Individually separates products on the pool conveyor and sends them to the packaging machine's dispensing conveyor attachment. Also has stainless steel specifications (U).